Russian Orthodox Priest, Father Kent McCaffrey began his hydroponic lettuce farm in 2010. Together Father Kent and his children grow five types of artisanal, premium lettuce year-round in the greenhouse Father Kent and his family built by hand. 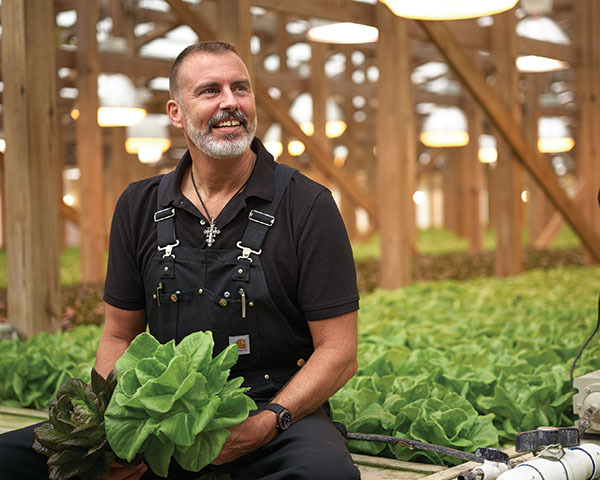 As an Orthodox Christian priest, Father Kent sees farming as an opportunity to bless others with premium lettuce that is blessed by God in order to bless customers with truly sweet, vibrant lettuce. 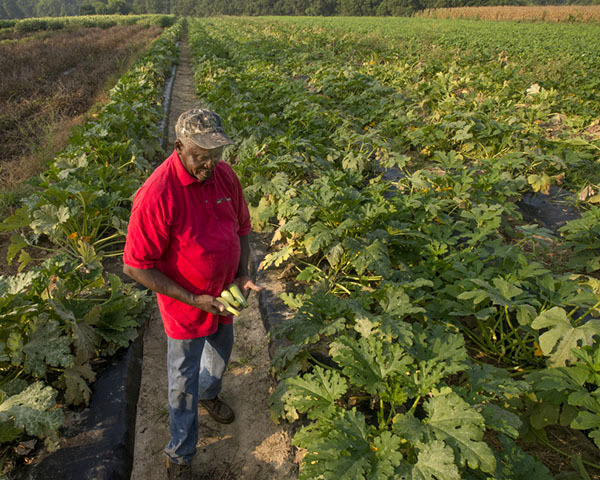 Al Hooks, of Al Hooks produce, has been farming for about 67 years and his son Demetrius oversees the sales and marketing. Al Hooks Produce shells and bags purple hull peas and chops and bags collards and turnip greens in their on-farm USDA certified processing facility in Shorter, AL. According to Demetrius, the most rewarding part of farming, is providing the local economy and the community with healthy produce. 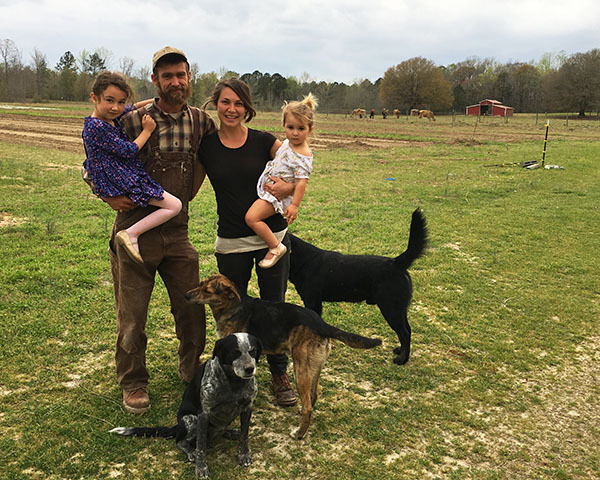 Young – yet experienced – farmers Will and Liz Doonan grow organic, specialty produce on their picturesque homestead in Maplesville. Both Will and Liz hold degrees in agronomy and take a holistic and sustainable approach to farming using techniques that protect the environment, public health, and animal welfare. The Doonans aim to inspire others, whether a customer or aspiring farmers, to contribute to the creation of a healthier food system. Dustin Smith and Daniel Wright dreamed of owning their own business. 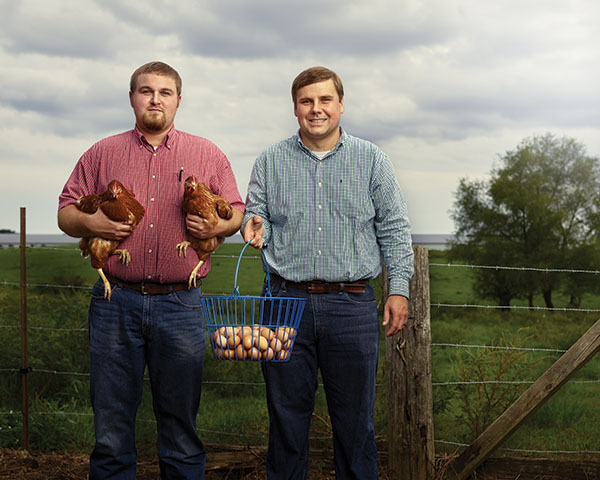 Their entrepreneurial journey began just a few years ago raising non-GMO fed, cage-free Red Star hens and a few dozen eggs. Today, they raise more than 7,000 hens and produce eggs for buyers statewide and Atlanta. 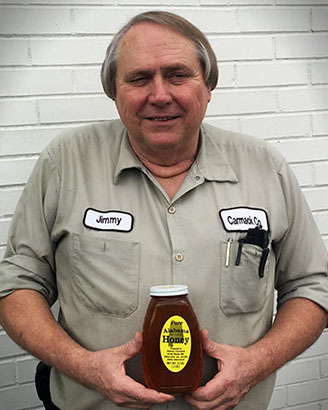 Some might call Jimmy Carmack the honey man. He’s been robbing bees and producing honey for more than 40 years. Mr. Carmack keeps bees in four counties and distributes his honey to retailers state-wide. He’s a certified master beekeeper through the University of Georgia’s Honey Bee Program, has served as president of the Jefferson County Beekeepers Association and president of the Alabama Beekeepers Association. 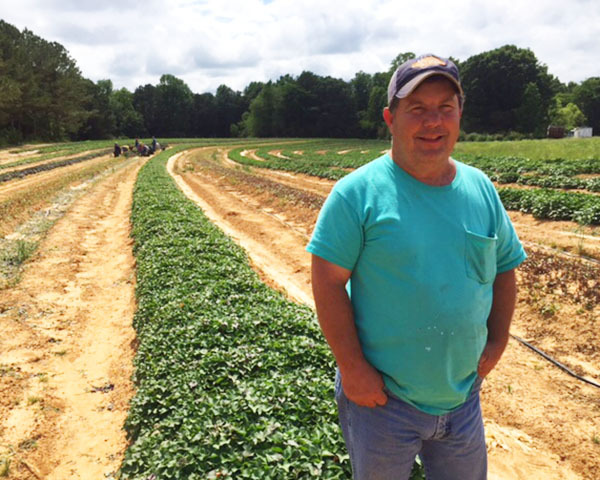 Jimmy Witt is a third generation farmer – although he didn’t intend to be. Before receiving his bachelors and masters in horticulture, Jimmy started at Auburn as a forestry major. Growing up, the farm was predominately dedicated to commodity peaches. 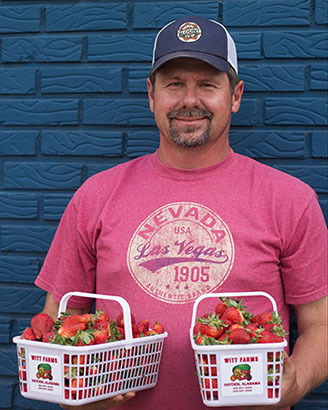 Under his leadership, Witt Farms diversified its product and began planting the strawberries and growing seedlings for other farmers. Today, in addition to wholesale and farmers markets, Witt Farms offers a nursery and u-pick operation making it easy to pick your own! 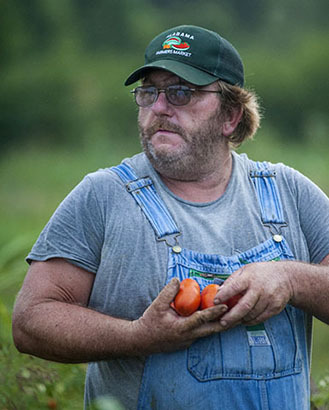 Dwight Hamm has been professionally farming less than ten years, but he’s always had a small farm. Today he farms 30 acres of diverse produce including greens, onions, tomatoes and an array of hot peppers. On Saturdays Mr. Hamm can be found at Pepper Place Farmers Market sampling his extra hot sauces and pickles.